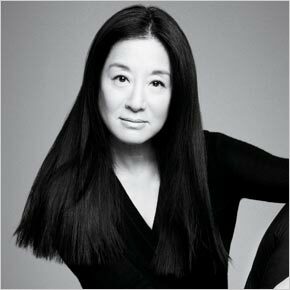 See the gallery for quotes by Vera Wang. You can to use those 7 images of quotes as a desktop wallpapers. People get very trapped where they are. When they hear 'fashion' they get intimidated, particularly at the upper end because it's so elitist. The great thing about having a pool in L.A. is that I can use it year-round. And since I've always been an athlete, staying fit is very important. They never ask the celebrities why they don't wear their own clothes on the red carpet. Let's be realistic, how many people are buying a $2,000 skirt? I love to design things that people can actually buy. I'm staggered by what a boot costs today. I do think I know more about clothes than any 500 designers, because there's nothing like wearing them. You buy them, you study them, and you start to understand how they're crafted. I hate phones. All businesses are personal businesses, and I always try my best to get back to people, but sometimes the barrage of calls is so enormous that if I just answered calls I would do nothing else. I was trying to manage school and training for the Olympics and ended up not doing well at either. That was a big lesson in my life. My mother expected both. It is horrible to say, but I was stigmatized by being a bridal designer for a long time. I am amazed I have been able to move beyond it. I had really all but given up trying, but I did it because it was my lifelong dream. It's hard to juggle being a businessperson with being a creative person. You have to organize yourself - PR needs me for PR, and the licensing division needs me for licensing, the bridal people need me for bridal. Just because you're from a city ten miles outside of St. Paul. It doesn't mean you don't read magazines, or the incredible Internet, and what's going on in the world. I never, ever take a client, or women, for granted. New York for me is about work. If L.A. were to become a West Coast version of that, I'd shoot myself. The climate, the lifestyle - it really fits as the yin to my New York yang. Much more quotes by Vera Wang below the page. The funny thing is that I'm the girl who no one sees at the beach. Ask anyone who's traveled with me. Normally, I'm in so many layers, I look like Lawrence of Arabia! There was no relationship between a wedding dress and fashion. There was no good taste, either. I realized that I could make an impression in terms of changing and readdressing the whole industry of bridal. Although in skating you compete with other people, anyone who achieves a certain level of success is first and foremost competing against themselves. And for me the idea that I could always do better, learn more, learn faster, is something that came from skating. But I carried that with me for the rest of my life. I always see where I didn't do things the right way. I only see the heavy lifting. That's a bit of my wisdom, if you want to call it that. I don't live through my kids. But I do know what will happen in life, and I just want them well prepared. I like the gritty parts of fashion, the design, the studio, the pictures. I see myself as an arbiter of taste. I'm not really a girl who likes to go out to lunch or cocktails or store openings. I'm only waiting for Lindsay Lohan's fashion collection to come out. Ten years from now, there may be no real designers left.